In the Nordic Region, buildings are responsible for an estimated 43% of all energy consumption (NER, 2016). The new headquarter of Paf Gaming Company counters this trend, showing a firm commitment to sustainability. The first sketches of the building were made in 2013 and the project concluded in 2016. 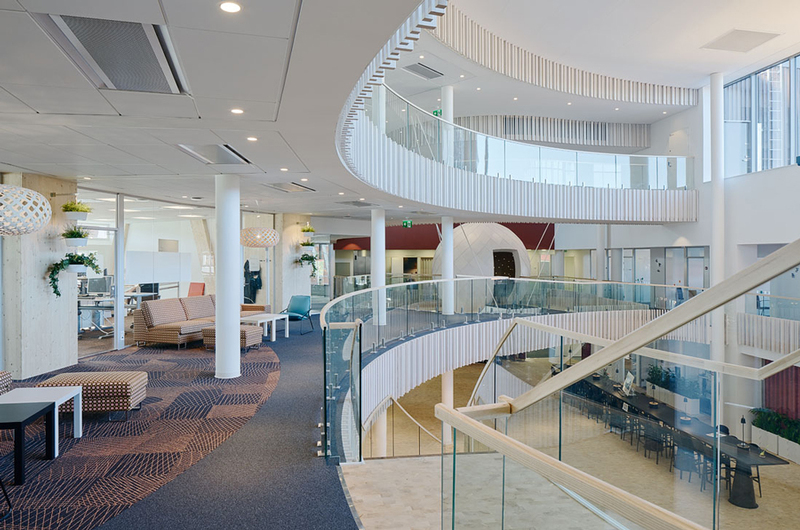 The building employs technologies from Sweden and Finland and is a carbon neutral, passive house. 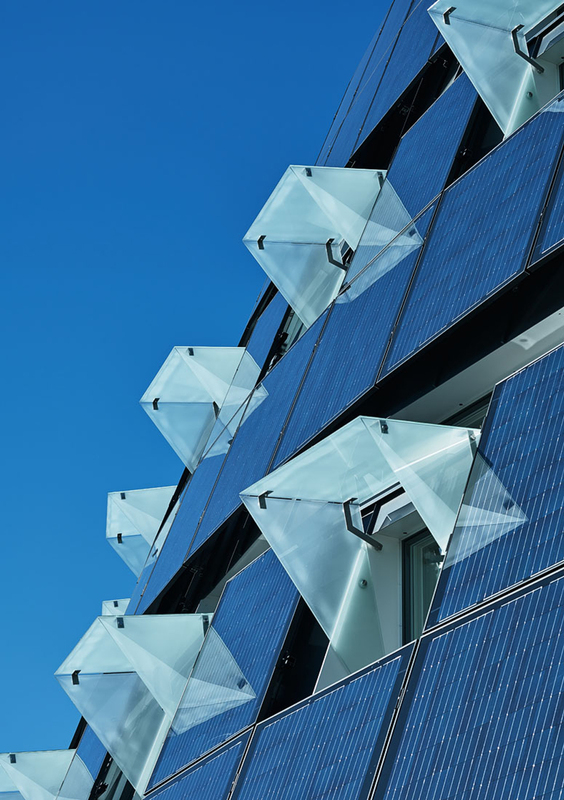 The 742 solar panels cover an area of 1400 m2 of façade and roof, generate 200 MWh of power annually and make the building self-sufficient in terms of energy. Although the building produces its own electricity, it is connected to Åland district heating as backup. 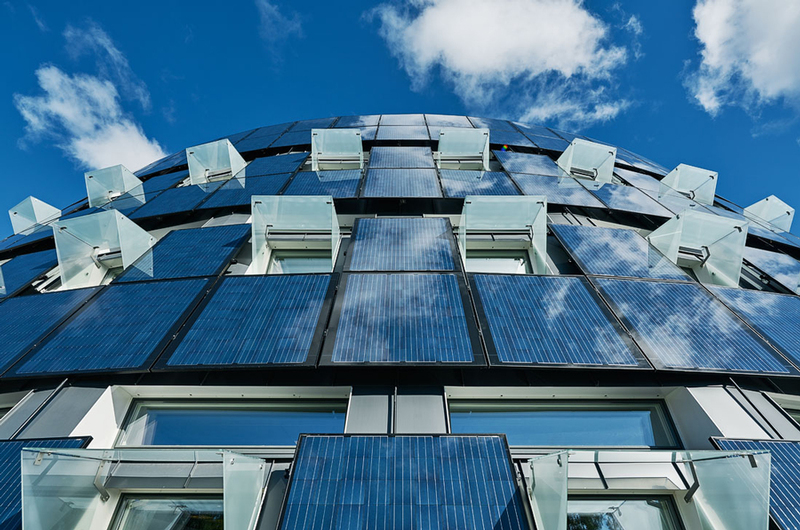 A smart grid guarantees interoperability at all times, enabling the flexible use of different renewable energy sources: the photovoltaic electricity produced on the building and the wind power generated in Åland. The curved shape of the building is designed to better capture the energy of the sun. 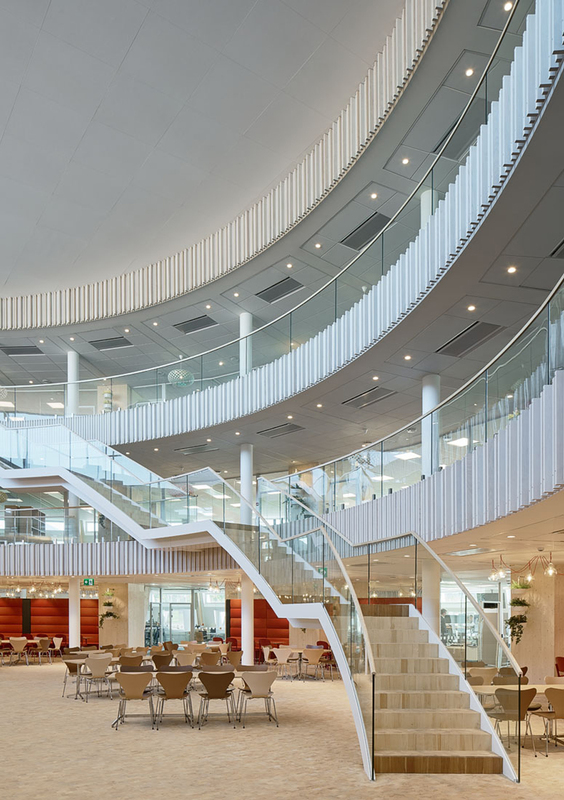 The circular form also helps to minimize heat loss while crafting an open interior design that improves interaction and collaboration between Paf’s 200 employees. The use of Cross Laminated Timber (CLT) slabs and glue-laminated lumber provide a comfortable and warm office atmosphere to the 3000 m2 of floor area. Producing its own energy, the building is climate friendly. Environmental and economic gains from the use of renewable resources are expected to be known in 2018, when the energy system will be evaluated. By combining different sources of renewable energy, the Company enjoys the best tax advantages. The Head Office Paf exemplifies the potential of buildings to integrate photovoltaics as a means of becoming more environmental friendly. This technology has already been employed in many other buildings throughout the Nordic Region.